This video demonstrates how to change your manual headlamp adjuster for your original electric headlamp adjusting motor. Click here to view Headlamps for your Toyota 4×4. RoughTrax explain how a free wheeling hub works by dismantling an Aisin hub and putting it back together again. 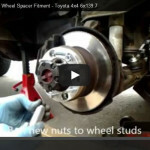 Click here to view all Free Wheeling Hubs for your Toyota 4×4. Measuring shock absorbers for your 4x4 couldn't be easier! 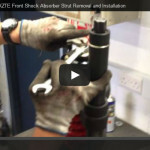 RoughTrax explain the correct procedure of measuring shock absorbers for 4x4's. Click here to view all Shock Absorbers for your Toyota 4×4.